A dry morning commute is expected. 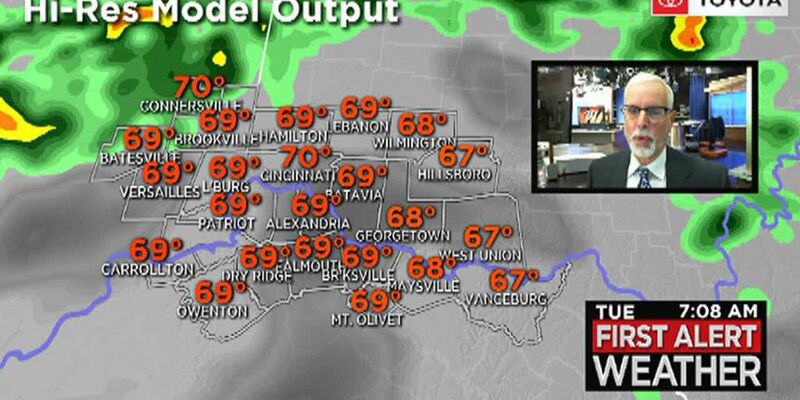 CINCINNATI, OH (FOX19) - Scattered rain showers will become spotty overnight, so most areas will have a dry morning commute Tuesday. Through 10 p.m., rainfall totaled 1.35 inches at CVG. Flood watches and advisories are in effect for many areas but the threat of flooding will subside overnight. Cool, damp weather continues as temperatures drop into the mid 60s by morning. There is a risk of severe storms Tuesday evening and night and more scattered showers and storms too are expected during the day with a few heavy downpours. 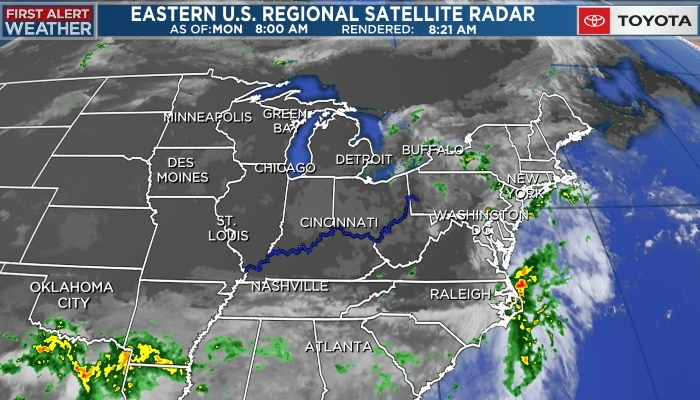 Rain finally tapers off Wednesday afternoon. Temperatures will be cooler Thursday with a high of only 70. Overnight lows fall into the 50s. The weekend looks mainly dry with a small chance for rain Sunday -- otherwise, more rain is expected early next week.